A Blackburn man cycled from Buttermere to Blackburn in memory of his mother-in-law, raising money for East Lancashire Hospice along the way. Andrew Gaffney, 47, cycled 100 miles with a total climb of around 4,700 feet in memory of Sandra Mason, who died at the hospice on 22 July. 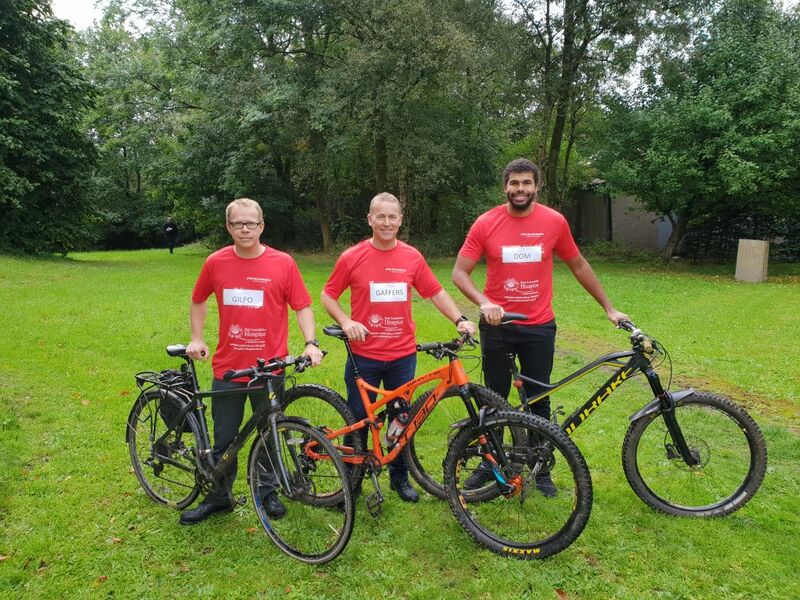 Andrew, who works as a planning and production engineer at Emerson and Renwick Engineering, Accrington, pedalled with work pals Dominic Henry and Richard Gilpin. They set off on their epic challenge on Friday from Buttermere at 8am, arriving back in Blackburn just after 8pm. Andrew said: “It was my mother-in-law’s wish to go to East Lancashire Hospice for end-of-life care. She was well looked after and spent the final five days of her life there. I wanted to do something to thank the staff for their care and compassion. “She had suffered from COPD for seven years and her health deteriorated over time, contracting numerous chest infections. Andrew originally set himself a fundraising target of £500 – but he has already reached a staggering £1,500 in sponsorship. The trio set off from Buttermere Lake in Cumbria, cycling up Honister Pass, climbing to over 1,100 feet from the lake. They continued along the B5829 toward Borrowdale before making the next accent to Blea Tarn – another unforgiving climb. They then cycled through the heart of The Lakes passing through Grasmere, Ambleside and Windermere and after reaching Kendal they headed south down the A6 towards Preston and then to Blackburn. Andrew, who cycles to work and goes out mountain biking with Dominic and Richard most Fridays after work, said: “I was originally going to do it on my own, but the lads wanted to get involved. We pedalled together all the way back to Blackburn as a team of three. My mother-in-law would have been very proud. “We have been training and increasing our mileage. It’s all about pacing yourself – but the last 10 miles were tough.